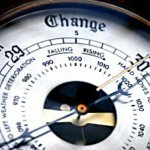 Currently viewing the category: "Change"
Should I expect immediate results from a clearing? Any obvious shift in conditions after a clearing is dependant upon the ‘state of the person or environment before the clearing. It is more likely that any ‘clearing’ of the environment will yield more obvious results quite quickly than on a person.